Many men suffer from LUTS, which is an undertreated dynamic condition, a recent article reports. However, treatments with medications may produce serious side effects, therefore Dr. Allen’s Device, which treats chronic prostatitis/chronic pelvic pain syndrome (CP/CPPS) and benign prostatic hyperplasia (BPH) naturally, should be used in the first place, highlights Fine Treatment. In contrast to conventional treatment, Dr. Allen’s therapeutic device works on the cleansing of the prostate gland from inflammation and unnecessary tissue at the capillary level, relieving LUTS naturally. 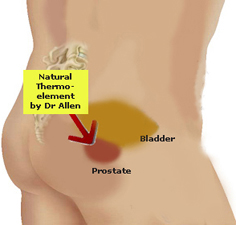 Lower urinary tract symptoms (LUTS) caused by CP/CPPS and BPH can be eased dramatically with the continuous use of Dr. Allen’s Device naturally. It is important as commonly used for this purpose antibiotic Cipro (ciprofloxacin) can lead to peripheral neuropathy. Furthermore, a recent article underlines that only about 1 in 10 men aged 45-69 years who progress from no or mild LUTS to moderate or severe LUTS receive pharmacologic or surgical treatment, Fine Treatment reveals. According to the article ‘Moderate-to-Severe Lower Urinary Tract Symptoms (LUTS) Undertreated,’ dated August 27, 2014 in the Renal and Urology News, ‘Only about 1 in 10 men aged 45-69 years who progress from no or mild lower urinary tract symptoms (LUTS) to moderate or severe LUTS receive pharmacologic or surgical treatment. The article ‘Oral fluoroquinolone use and risk of peripheral neuropathy,’ accepted on July 2, 2014, by the Neurology, has made an important and scientifically proven link between a class of potent and commonly used antibiotics known as fluoroquinolones (FQs) and a condition known as peripheral neuropathy (PN). Furthermore, the difference in risk among three mostly commonly used fluoroquinolones, Cipro (ciprofloxacin), Levaquin (levofloxacin), and Avelox (moxifloxacin), was not significant. The exclusive chronic prostatitis and BPH treatment with Dr. Allen’s therapeutic device reduces an inflammation and the size of the affected prostate relieving LUTS. Please watch a short informative video: http://www.youtube.com/watch?v=V5xidswhxJM. Dr. Simon Allen, MD, PhD, Academician, member of the ATA, is a highly experienced medical professional specialising in internal medicine. He has treated a wide range of chronic diseases, including patients after a heart attack, with kidneys problems, including kidney stones disease, prostate and spine conditions, as well as metabolic disorders. Fine Treatment exclusively offers Dr. Allen’s Devices for chronic prostatitis and BPH treatment, coronary heart disease, for dissolving kidney stones, easing chronic headaches, and relieving upper spine tension, lower back pain and sciatica.